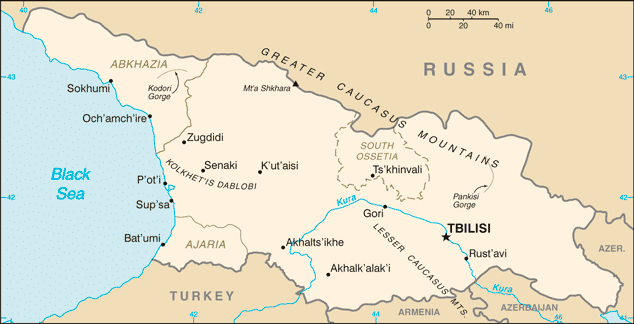 The European country of Georgia sits nestled below the Caucasus mountains where the East meets the West. About the size of South Carolina, this tiny nation-state has experienced its fair share of political turmoil. For years, Persia, Turkey, and Russia fought over its territory. In the end, Russia won the contest, and Georgia became a part of the Soviet Union. Then, in 1991, it finally gained its independence. Perhaps its tumultuous history has kept Georgia from being a tourist destination over the years. But now, the spectacular mountains of Georgia are drawing a new wave of hikers, bikers, skiers and thrill seekers. 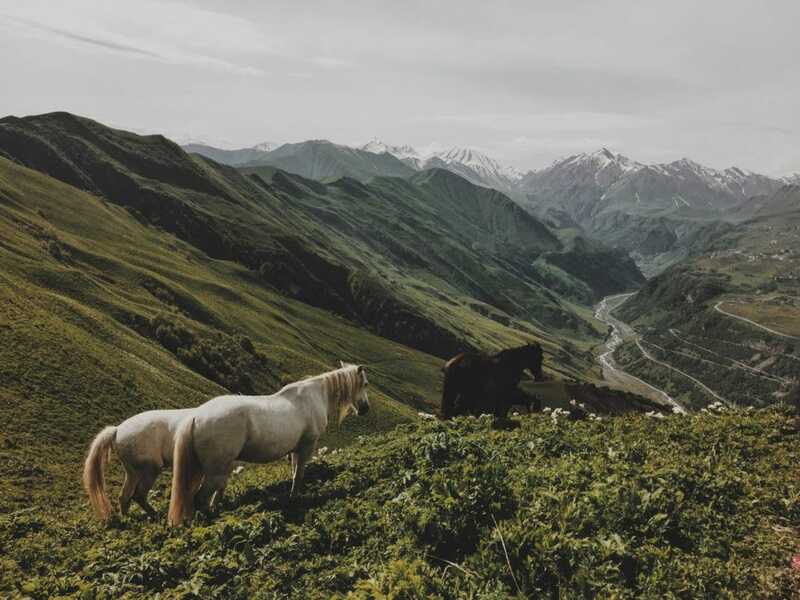 Surprisingly, the Caucasus mountains beat out the Alps as the highest mountain range in Europe. Those familiar with Greek mythology may remember that the Caucasus mountain range is considered one of the pillars holding up the world. 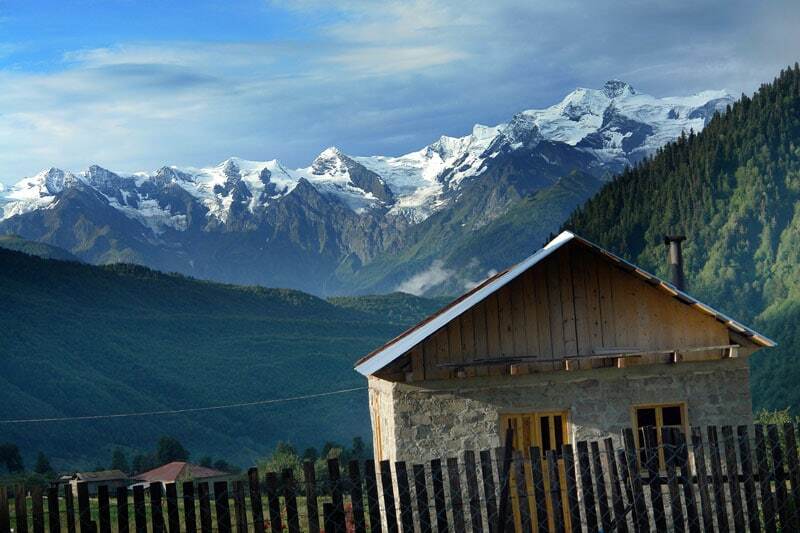 Notably, the third highest peak in the Caucasus, Mt. Shkhara, looms at 5,193 m and lies within Georgia. Moreover, hikers from around the world are discovering that Georgia holds both adventure and hospitality. For those currently adding it to their bucket list, you may want to check out these destinations. The third-highest peak in Georgia, this mountain is definitely worth the trek. In its shadow sits Gergeti Trinity Church at 2,170 meters. A popular destination for pilgrims and mountain hikers, this one is definitely for the lists. This restaurant popular among hungry hikers sits at the bottom of Mount Chiukhi. Nearby lies a stunning glacier pond in between the mountains and surrounded by a green valley. Those returning from a long day of hiking are sure to savor the local cuisine served here. You can enjoy Georgian dishes such as kuserbo, shredded fried potato mixed with salty mountain cheese. This haven for hikers lies on the mountainside in Stepantsminda. In the 1980s, elites of the Soviet Union would escape to this retreat. But in July 2012, the Adjara Group Hospitality renovated and restored the property. Now, the lodge operates as a resting place primarily for hikers. Guests can take in the breathtaking views of the mountains from any corner of the building. Georgia holds an exorbitant amount of natural beauty for its small size. 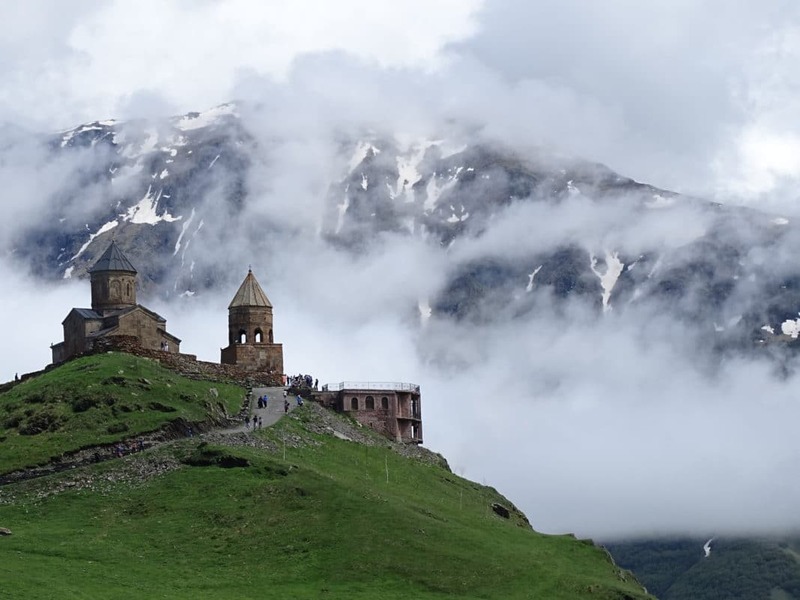 Though it is slowly but surely becoming a tourism hotspot, the personality of Georgia remains a tucked away sanctuary of the world. Sarah is an an artist captivated by beauty, both in what we see and what we create. A second-generation Cuban born in Vermont and raised in the South, her life has been shaped by many people and places. Namely, Sarah treasures honesty, hospitality, and passionate storytelling. She enjoys talking about travel and culture any day of the week.